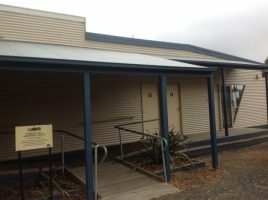 Description of Venue: The Ross Creek Community Hall sits in a peaceful rural setting 15km from Ballarat and 128km from Melbourne. Ross Creek is quiet, roadside hamlet which features a general store, primary school and recreation reserve. Highlights of the Ross Creek area are beautiful nature trails nestled amongst native woodland. The Ross Creek Hall precinct is made up of a large multi-purpose hall and a smaller community hall with an adnoining kitchen and sunroom. All halls and sunroom have heating. The main features of the multi-purpose hall are a large stage and its size with seating capacity of 250. It has excellent acoustics, making it ideal for musical and theatrical performances. 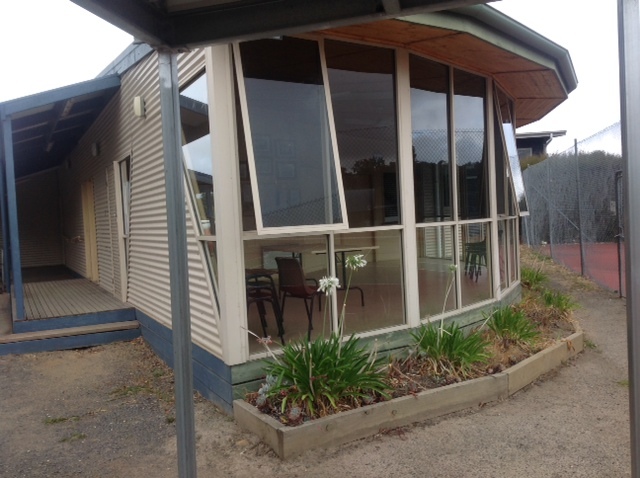 The community hall is a smaller, more intimate facility witha capacity of 80 to 100. The community hall also has a modern kitchen and sunroom attached. Tables, chairs,cutlery and crockery are all provided for both facilities. The kitchen is well equipped with ample bench space for the preparation for food, and the Ross Creek Halls precenct is ideal for weddings, performing arts, parties, funerals, badminton, yoga, birthday/christmas parties, tai- chi, play groups and many other community engaging activities. Is the venue open to the public, when and what times? The Venue is open to the public 7 days a week by prior arrangement. Access: Ramps are available at all entrances. Toilets: Male and Female toilets available with internal and external entrances. Kitchen: Nice updated kitchen available with lots of shelves and bench space. Limited cutlery and crockery provided. Refridgerator, stove, oven, microwave, pie warmer and separate basin for handwashing available. Stage: Only stage available is in the Multi Purpose Hall. Woady Yaloak Primary School often perform on this stage.